In a bid to catch up with Apple Pay, Samsung is said to have turned to a startup company, LoopPay, in hopes of debuting its own mobile payments service with wide compatibility in 2015. Citing multiple sources familiar with the talks, Re/code reported on Tuesday that Samsung's plans for a contactless payment service would be very similar to Apple Pay, allowing customers to use their Samsung phone to authorize credit card transactions at retail stores. Key to the deal is said to be Massachusetts-based LoopPay, which has reportedly created a prototype of its system working on a Samsung phone. LoopPay's technology is currently used in a fob and a digital payment card and does not require near-field communications, like Apple Pay or Google Wallet. 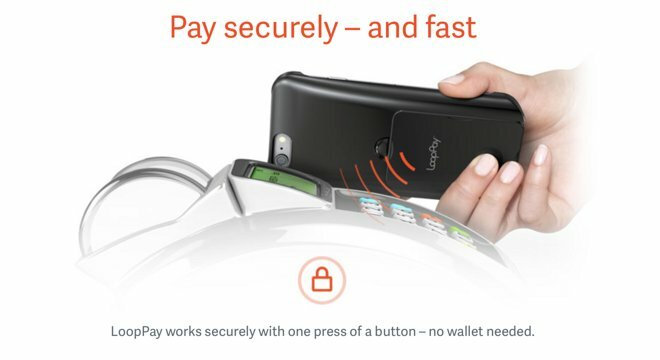 Instead, LoopPay uses what it calls "magnetic secure transmission," which allows users to tap a device near a credit card magnetic swipe terminal. Currently, LoopPay is compatible with a variety of smartphones, including Apple's iPhone. Plugging the company's fob into an iPhone headphone jack and using the LoopWallet app, users can swipe in their credit and debit cards, which then scans them into the system. The fob can be used alone, where it completes transactions with a default card and no security. Or when paired with a smartphone, users can select the card they wish to use and enter a PIN number to authorize the transaction. There's also a LoopPay smartphone case with detachable fob. It's unclear how well LoopPay's technology will fare in the coming years, however, as merchants are expected to phase out traditional magnetic swipes in favor of new secure EMV cards using an authorization process known as chip and signature. Apple Pay and its NFC-based technology will not be affected by the EMV switch, which will take place in October of 2015. But LoopPay has also been looking into implementing a tokenization system, much like Apple Pay, to enhance security in future versions of its technology. Tokenization authorizes a transaction without allowing the merchant to receive the actual payment information. Samsung, of course, has a long history of reacting to Apple's new features and services, earning it a "copycat" reputation from critics. 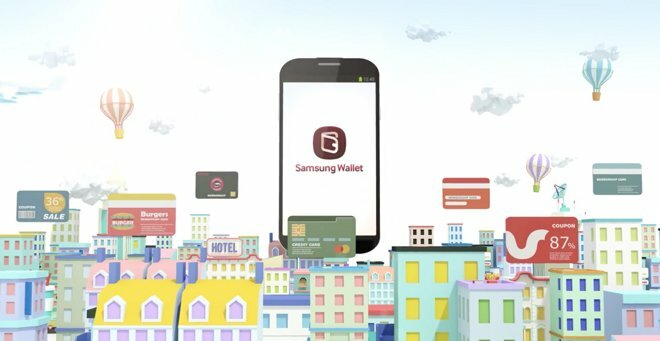 For example, after Apple launched Passbook in 2012, Samsung announced its own Wallet application in early 2013, complete with an icon that bore a striking resemblance to Passbook. And when the iPhone 5s launched with the Touch ID fingerprint sensor, Samsung was quick to include a fingerprint scanner in its flagship Galaxy S5 handset. However, while Apple's fingerprint sensor was praised for convenience and ease of use, Samsung's implementation utilized a legacy swipe-style fingerprint reader that was panned for being subpar. Touch ID went on to become an integral part of the security of Apple Pay, allowing users to securely authorize transactions from their iPhone 6 or iPhone 6 Plus with just a scan of their finger. Apple itself accused Samsung of stealing its ideas in court in 2011, when it filed a lawsuit alleging the designs of Samsung hardware and software infringed on Apple patents. The litigation dragged on around the world for years before both Samsung and Apple announced in August that they have settled all of their non-U.S. patent disputes out of court. Apple and Samsung are still at odds in America, though, where a judge recently ruled that Apple could be entitled to ongoing royalties from patent infringing Samsung products. A California court found Samsung guilty of infringing on Apple's patents in 2012, but the case has been mired in appeals ever since.